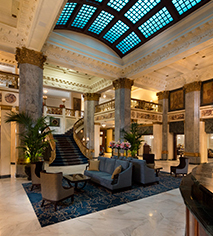 The Seelbach Hilton Louisville aims to make every guest as comfortable as possible. 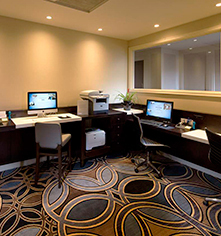 The extensive list of convenient services and amenities ensures to accommodate the needs of every guest. 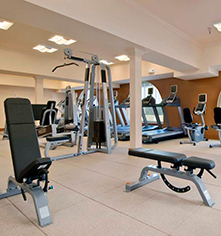 The Seelbach Hilton's recent renovation included an expansion of the fitness center, nearly doubling its size. Also all work stations are now outfitted with state-of-the-art equipment by Precor. The Seelbach Hilton offers meet and greet valet parking 24 hours a day. Complimentary shuttle service is also available to the Louisville International Airport 6:00 AM to 12:00 AM.